Originally owners of the Four-Voice could expand it to up to eight SEM modules. Shown here is an example of just that. This became the first Eight-Voice. 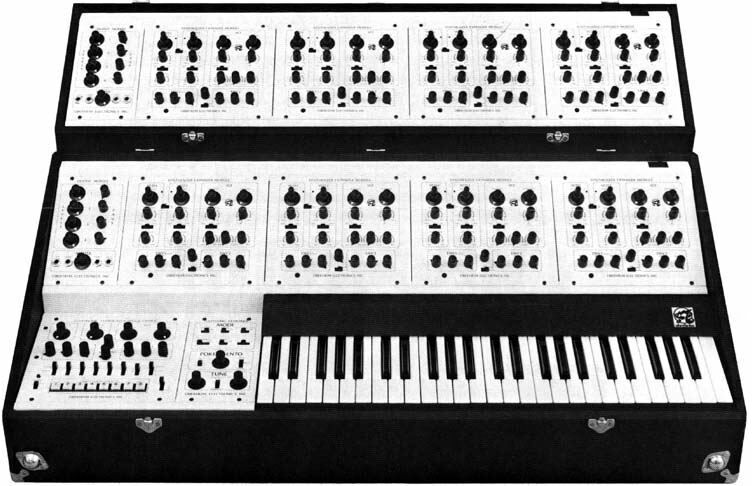 Later Oberheim released an Eight-Voice with two keyboards, (one on top of the other: the top one, a 4-octave(C-C), 49-note, and the bottom one, a 5-octave(C-C), 61-note) and an onboard Digital Programmer which held 16 presets. Currently we have no picture of this one.